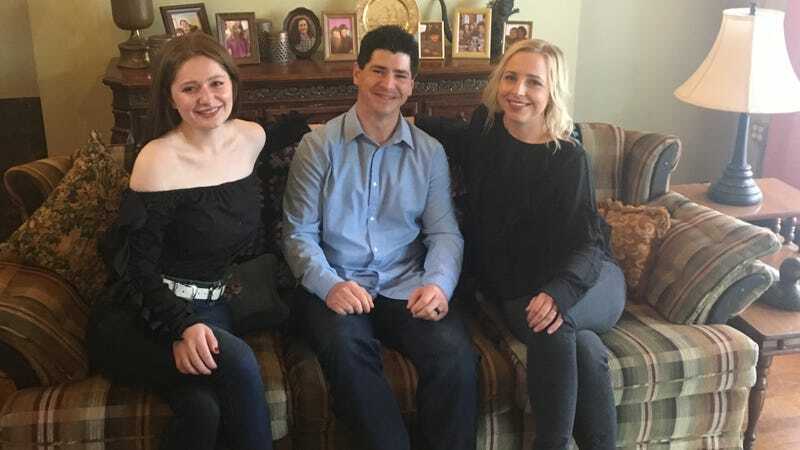 Roseanne's Lecy Goranson didn't believe the revival was happening "until I walked on set"
“I wanted to grab Sara and give her a kiss, because she brought us all back together.” That’s Lecy Goranson, who played Becky on Roseanne for the better part of a decade (give or take a couple of Sarah Chalkes filling in). The actor came to SXSW to promote the upcoming revival of the series, and was happy to share her initial skepticism. “Honestly, part of me didn’t really believe it was going to happen until I walked on set,” she said, during an interview along with returning cast member Michael Fishman, who played D.J. Conner, and new cohort Emma Kenney (Shameless), joining the series as Harris, eldest daughter of Darlene (Sara Gilbert). Just given the time that had elapsed and the difficulty of getting everyone back together and managing schedules—a feat Goranson credits Gilbert with pulling off—the likelihood of successfully launching a revival seemed dim. That sense of skepticism didn’t extend to everyone, however. “Part of me always though it might happen, just because I’d talk to Roseanne, and she’d have these great ideas for it,” says Fishman, who mentioned that as soon as five years after the series had originally ended, he started hearing ideas from the star about concepts for where the Conners would be later in life. The SXSW installment for the Roseanne revival. The SXSW site for the ABC series features a recreation of the living room, the kitchen table, and even a mockup of the old Langford Lunch Box diner, though it sadly didn’t including a sardonic Martin Mull rolling his eyes. Roseanne returns to your television set Tuesday, March 27 on ABC.